IPhone battery draining very fast is a very frustrating situation that users find their selves. But Without knowing much about the way your phone is being used and its age I can only write about the general ways in which battery lifespan has been improved over the years. 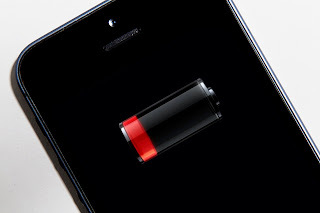 I have seen a lot of people asking questions like “Does my IPhone drains battery faster, because of it being bad?” But from my knowledge, I don’t think your IPhone is bad because almost every smartphone users face the issue of battery draining faster. But after some years of studying how Smartphones works in general, I got to realize users being the major reason/cause of battery draining faster due to the way devices are being used. In this post, we have provided tips/ways/solutions that will help you reduce the high rate of your battery draining to the lowest possible rate. The screen is what I personally refer to as the greatest friend of battery draining. It’s very obvious that screens are highly respected battery drainage sources. As big as the threat of battery drainage is we have some ways that can be used to cut the battery draining fast. The first thing you need to do is disable the auto brightness, but reducing the brightness to the lowest level is also a good way. Also, you can also reduce the screen timeout duration. This will definitely help you save your battery more. I didn’t want to include Low Power Mode in this post because it seems like an obvious way. However, not everybody knows how great low power mode is. Once your battery is getting low, you can easily reduce power consumption i.e. stopping mail fetch, Hey Siri, background app refresh, automatic downloads etc. for the meantime using Low Power Mode. You can easily on Low Power Mode manually via Settings i.e. 3. Then Toggle Low Power Mode on. This means turning off features such as “Wi-Fi, gestures, auto-rotate, mobile data, Bluetooth, GPS, NFS” when not needed. Turn them on only when needed, by doing this, your device power consumption rate will drop with immediate effect. Apps running in background kills battery silently, many apps that you don’t actually need runs in the background and makes draining your battery a mission. To stop these, simply check the apps that are running in the background through the multitasking button, then end the one you are not using. This simple tip saves battery a lot. Reducing the rate at which you play games and watch videos on your phone is golden. Like I said in the previous post “iPhone is not meant for games”. But if you can't-do without playing a game, then play it while your phone is plugged in. After 2 years, your iPhone battery most likely becomes weaker by default, because it has simply elapsed its life cycle (500 cycles). According to Apple, it will still retain at least 80% of its capacity, but I would suggest you get a new battery because I don’t really buy that. Dynamic Background is just like you paying someone to slap you. Most iPhone users make use of dynamic background but I really think it’s a bad idea because they run even when you are not using your phone. Therefore draining your battery automatically. If you follow all the above-listed solutions, I can assure you that your battery will definitely last longer. If you noticed no change after trying all the ways listed above, then your best bet is going to the nearest Apple retail store.